IRELAND “FULLY SUPPORTS” Britain’s efforts to hold accountable the people behind the poisoning of a former Russian spy in England, the Tánaiste has said. 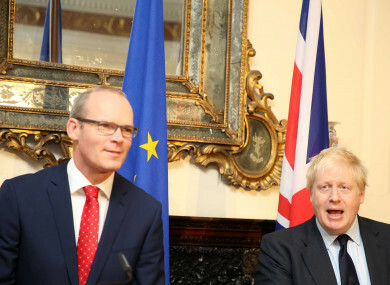 Speaking ahead of a meeting of EU Foreign Affairs ministers in Brussels today, Simon Coveney said: “Ireland fully supports the UK’s efforts to ensure the perpetrators of this heinous crime can be held accountable. Former Russian double agent Sergei Skripal and his daughter Yulia are in a critical condition after being exposed to a nerve agent in the English city of Salisbury on 4 March, leading Britain to expel 23 Kremlin diplomats. Russia’s ambassador to the European Union, Vladimir Chizhov, has said Moscow “had nothing to do” with the attack. Coveney said ministers attending today’s meeting will also discuss developments in North Korea, Syria and Iran, as well as the illegal annexation of Crimea and the city of Sevastopol by Russia in 2014. Coveney is also set to meet Michel Barnier, the EU’s chief Brexit negotiator, this morning. A spokesperson for the Tánsiate said the EU has “been consistent that there can be no backsliding on any part” of an agreement reached by the Union and the UK in December. It stated that there would be no hard border between Northern Ireland and the Republic post-Brexit. “This highlights the importance of the UK engaging meaningfully on all aspects of the Withdrawal Agreement, including the fallback protocol on Ireland/Northern Ireland. The Tánaiste is looking forward to hearing Mr Barnier’s assessment of whether that is happening,” they added. Email “Ireland 'fully supports' UK's efforts to punish those behind 'heinous' poisoning of former spy”. Feedback on “Ireland 'fully supports' UK's efforts to punish those behind 'heinous' poisoning of former spy”.